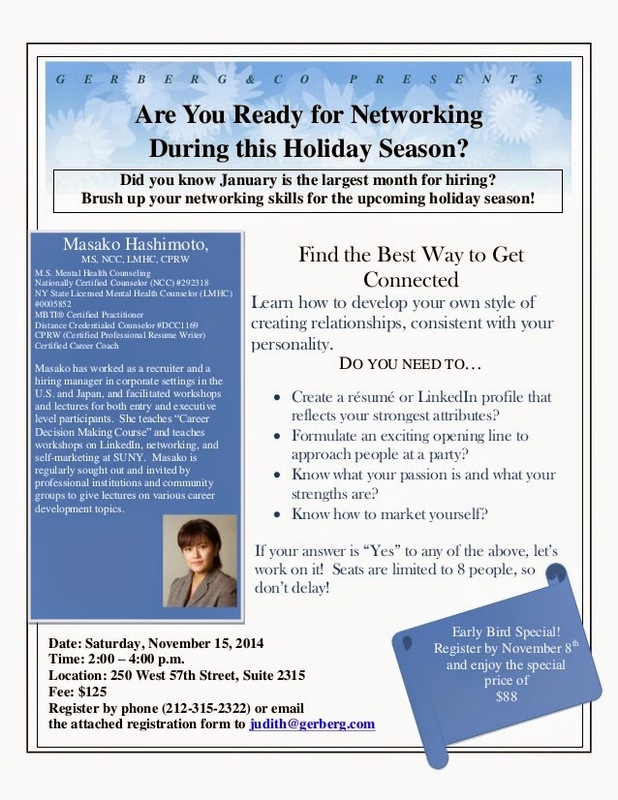 Career Counselors Consortium Blog: Are You Ready for Networking This Holiday Season? I stumbled upon your blog a couple of times via google.I guess I have lots to learn from you!Aws Jobs in Hyderabad. I'm a big reader of this site. I follow all post of this site. I visit here for know more about new thing. I really enjoy this site. If you're ready for the field of the networking then you can submit your attention to this blog and can get the better learning in the better way. With the link of http://www.interactiveagencies.net/the-number-one-digital-media-marketing-agency/ you can find the best services during this season of holiday.